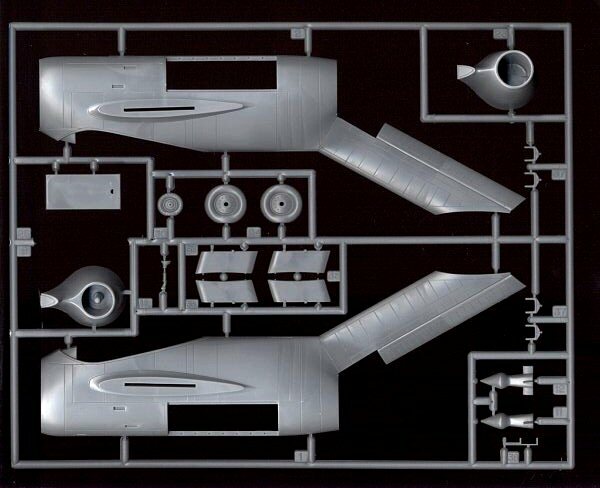 Beautifully detailed kit of this Luft '46 subject! One of the next-generation fighters on Kurt Tank's drawing board was the Ta 183 which employed guns and air-to-air guided missiles against its targets. Fate would intercede and draw the war to an end before the Ta 183 would fly, but much of the engineering in this aircraft as well as those from Messerschmitt, Junkers, Arado, etc., would allow the victors to make major strides in the development of their own jet aircraft. One good example is the data captured from the Messerschmitt plants was given to North American for evaluation, and the data would transform the straight-wing FJ Fury into the swept-wing FJ-4 and it's Air Force counterpart, the F-86 Sabre. The Soviet Union did not leave Germany empty-handed either. A complete set of plans for the Ta 183 (and others) was reportedly found in the Air Ministry after the Soviets captured Berlin, and these plans were whisked away to Moscow. Shortly thereafter, Kurt Tank was offered an opportunity to build the Ta 183 for the Soviet Union, but he would decline and flee to Argentina where he did build a variant of the Ta 183 for the Argentine Air Force. Here is the kit that started off a new hobby company - AMtech. This is the first kit out of the chute and is a completely new subject, which is quite refreshing after the flood of Mustangs, Spitfires and Bf 109s. 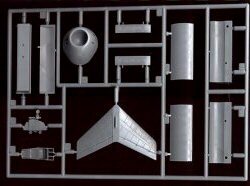 For you Luft '46 fans, this is a kit that you never thought you would see in injection-molded plastic, let alone in 1/48 scale. A Focke Wulf Ta 183 Huckebein! When the kit first hit store shelves, the first thought was that Accurate Miniatures was somehow behind the AMtech release. 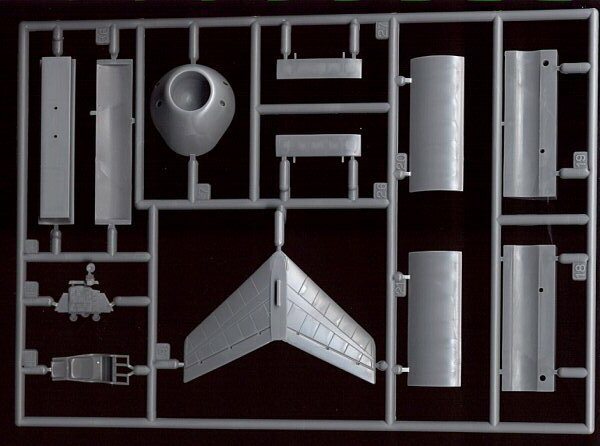 The packaging is from the same company that supports Accurate Miniatures, and upon opening the box, the kit is every bit as sharp and detailed as an Accurate Miniatures kit. As it turned out, the packaging was coincidental and is so far the only new-tool release. 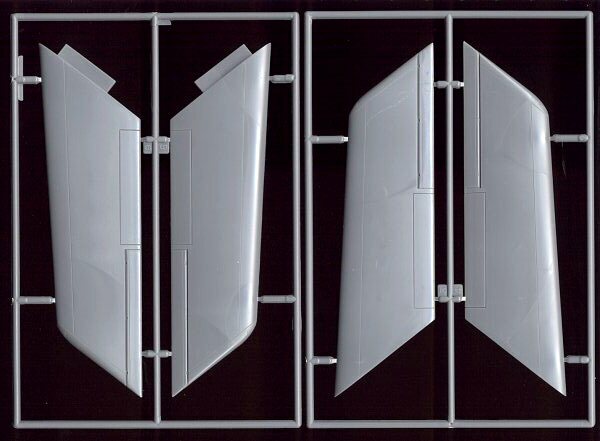 Inside the box are six parts molded in medium gray styrene. 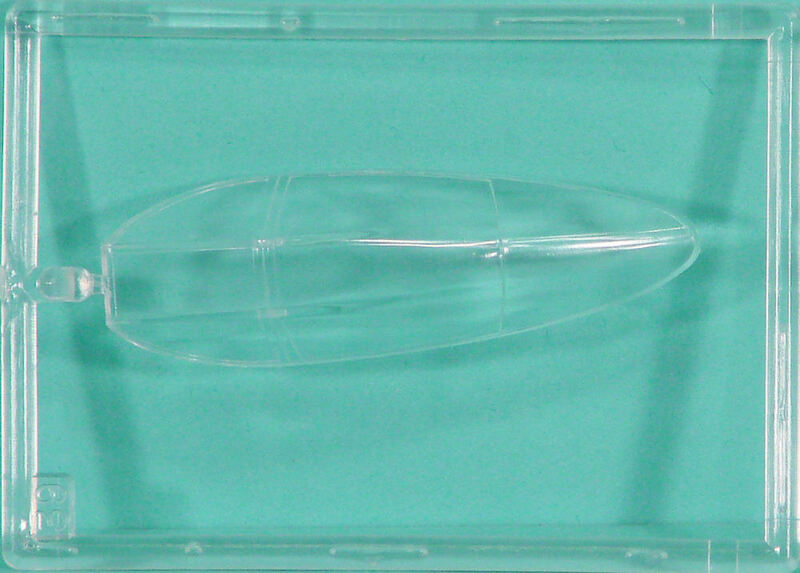 The parts are flash-free, have no visible ejector pin marks in visible places, and all of the detailing is very finely scribed. The kit looks every bit as good (or better) than most of the kits coming from Japan! The decal sheet is also beautifully done, but then it was printed by Three Guys, so you can't expect any less. 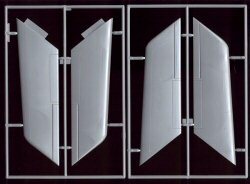 Markings are provided for six notional aircraft, so you can build several of these and not get bored! I know there are many folks that don't care for notional 'what might have been' subjects like this, but this is another aspect that makes the hobby fun. Besides, there aren't many contest judges that could argue about the validity of your markings or camouflage. This would become the only new-tool release from AMtech before they discontinued operations. 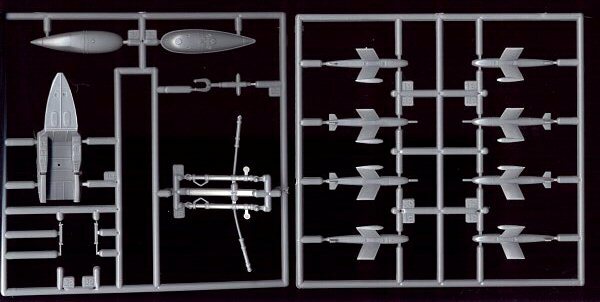 They did develop and release new-tool parts to offer new variants of existing tooling using the AMT 1/48 P-40, 1/72 Ju 88 and 1/72 KC-135 kits. 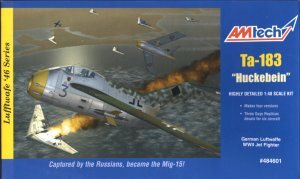 The planned releases of the P-40Q and Ta 183B (two seat Huckebein) came close to release before AMtech shut down, but nevertheless, we have some unique subjects available to us that still haven't been touched by the mainstream manufacturers (yet). 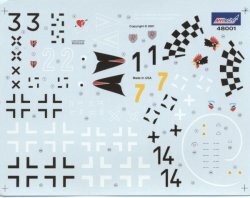 Tamiya did release the Ta 183 kit (look here) though it is the AMtech kit together with their own Kettenkraftrad kit. 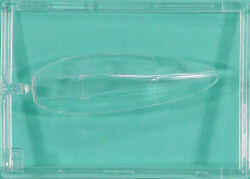 Hasegawa did tackle a number of the P-40 variants, but the AMtech 1/72 Ju 88 variants, this Ta 183, and the variety of unique EC-135 variants are still only available under the AMtech logo. You can still find this kit and other AMtech offerings at kit swaps and even on eBay. My sincere thanks to AMtech for this review sample!